Claudia has been a teacher, researcher, consultant, and professor of special education. She is a published national expert on Learning Disabilities of English Language Learners and presents on these topics since 2000 at various conferences including the the American Psychological Association (APA), the Council for Exceptional Children (CEC), the National Association of School Psychologists (NASP), the Teachers for Speakers of Other Languages (TESOL) among others. Today, Claudia Rinaldi, Ph.D. is an Associate Professor and serves as Chair of the Education Department at Lasell College. Her research addresses the implementation of Response to Intervention (RTI) and Multi-Tier System of Support (MTSS) in urban settings with a focus on supporting English language learners. Her experience engages educators on how to improve systems and instructional practices for students with reading difficulties who may be at-risk for failure, or those who are English language learners and who may have mild and moderate disabilities. She recently published a book for educators called Practical Ways to Engage All Struggling Readers: A Multi-Tiered Approach Using Hi-Lo Books by Saddleback Publishing and co-authored the RTI-Based Specific Learning Disabilities (SLD) Identification Toolkit for Educators for the RTI Action Network, a division from the National Center for Learning Disabilities. 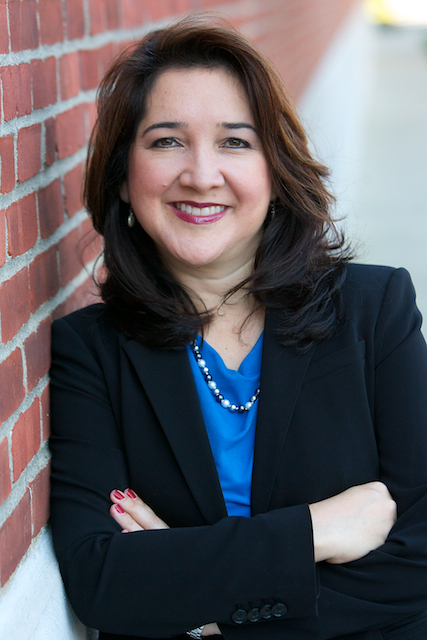 Claudia also served on the Board of Directors for the Council for Exceptional Children (CEC), and is a member of the Professional Advisory Board for the National Center for Learning Disabilities. You can follow her on Twitter @claudiamtss. For a sample chapter of her book Practical Ways to Engage All Struggling Readers: A Multi-Tiered Approach to Using Hi-Lo Books please click this link. Most recently, Claudia is also an expert for the Understood.Org website for parents and teachers who support the 20% of students with learning and attention issues. She is regularly featured in online chats and webinars in Spanish dealing with issues about English learners and their struggles in schools with a focus on strategies for parents and teachers. Reading and literacy of bilingual students. Exceptional Child, Scenario Learning, Cincinnati, OH. Massachusetts Department of Elementary and Secondary Education (DESE), Malden, MA. Rinaldi, C. & Higgins-Averill, O. (2014). Practical ways to engage all learners: A multi-tiered approach using a hi-lo books. Saddleback Publishing: San Diego:CA. Higgins-Averill, O., Baker, D. & Rinaldi, C (2014). A blueprint for effectively using RTI intervention block time. Intervention in School and Clinic, 50(1), 29-38. Higgins-Averill, O. & Baker, D., & Rinaldi, C. (2013). Research Brief: The nexus of response to intervention (RTI) and the identification of specific learning disabilities (SLD): guidelines for district-level implementation. Urban Special Education Leadership Collaborative, Waltham, MA. Rinaldi, C., Ortiz, S., & Gamm, S. (October, 2014). RTI-Based SLD Identification Toolkit Considerations for English Language Learners, RTI Action Network, New York, NY. Cortiella, C., Gamm, S., Rinaldi, C. & Goodman, S. (October, 2014). RTI-Based SLD Identification Toolkit, RTI Action Network, New York, NY. Rinaldi, C., Higgins, A.O., & Stuart, S. K., (2011). Response to intervention: Educators’ perceptions of a three-year RTI collaborative reform effort in an urban elementary school. Journal of Education, 19(2), 43-52. Stuart, S.K., Rinaldi, C. & Higgins A, O (2011). Agents of change: Voices of teachers on response to intervention. International Journal of Whole Schooling, 7(2), pp. 53-73. Higgins-Averill, O. & Rinaldi, C. (2011). Multi-Tiered System of Support: A Research Brief. Urban Special Education Leadership Cullaborative. Higgins, O. A. & Rinaldi, C. (2011). Multi-tiered Systems of Support (MTSS): The RTI and PBIS approaches invulve targeting specific areas in which students are struggling. District Administration, September 2011 Issue (Can be retrieved from District Administration Magazine). Chapman, L., Greenfield, R., & Rinaldi, C. (2010). Drawing is a frame of mind: An evaluation of students’ perceptions about reading instruction within a response to intervention model. Literacy Research and Instruction, 49 (2), 113-128. Rinaldi, C. & Stuart, S. K. (2009). Whole schooling and response to instruction. International Journal of Whule Schouling, 5(1), 41-58. Rinaldi, C. & Rogers-Adkinson, D., & Arora, A. (2009). Language and behavioral competence in preschoul children. International Journal of Early Childhood Special Education, 1(1), 29-41. Madaus, J., Rinaldi, C., Chafouleas, S., & Bigaj, S. J. (2009). An examination of current assessment practices in Northeastern schoul districts. Assessment for Effective Intervention, 34 (2), 86-93. Rinaldi, C. & Paez, M. (2008). Preschoul matters: Predicting reading difficulties for Spanish-speaking students in first grade. Learning Disabilities: A Contemporary Journal 6(1), 71-86. Rinaldi, C. & Samson, J (2008). English language learners and response to intervention: Referral recommendations. In A Cullection of Articles from Teaching Exceptional Children (pp. 119-134). Arlington, VA: Council for Exceptional Children. Rogers-Adkinson, D., Melloy, K, Stuart, S., Fletcher, L. & Rinaldi, C., (2008). Reading and written language competency of incarcerated youth. Reading and Writing Quarterly: Overcoming Learning Difficulties, 24(2), 192-218. Paez, M. & Rinaldi, C. (2006). Predicting English word reading skills for Spanish speakers in first grade. Topics in Language Disorders, 26(4), 338-350. Stuart, S. K., Flis, L.D., & Rinaldi, C. (2006). Connecting with families: Parents speak up about preschouls services for their children with Autism Spectrum Disorders. Teaching Exceptional Children, 39(1), 46-51. Rinaldi, C. (2004). [The Fluent Reader: Oral Reading Strategies for Building Word Recognition, Fluency, and Comprehension.] Education Review (http://edrev.asu.edu/brief/jan04.html#4). Rinaldi, C. (2003). Language competence and social behavior of children with emotional and behavior disorders [Special issue]. Behavioral Disorders, 29(1), 34-42. Montague, M. & Rinaldi, C. (2001). Classroom dynamics and children at-risk: A fullow-up. Learning Disability Quarterly, 24, 73-84. Addressing the Needs of Special Education: An Interview of IDEA. Doctor Radio Siriux Satellite Radio powered by NYU Language Medical Center (January, 2017). How does Language Development Affect Bilingual Individuals, BBC Mundo, Multimedia Reports, Miami, FL (July, 2016). Speakers of Other Languages (MATSOL)(invited pre-conference workshop). University, Cambridge, MA (invited session and panel). Addressing a Culturally and Linguistically Appropriate Model for English Learners. Rinaldi, C. (February, 2015). Assessment and Data Collection in Dual Language Program, Massachusetts Association of Bilingual Education (MABE), Dual Language Leadership Meeting, Newton, MA. Rinaldi, C. (2011, September). Implementing a multi-tiered system of academic and behavioral supports in an urban school district: Lessons learned from year 1. 9th Biennial International Council for Children with Behavior Disorders Conference, New Orleans, LA. Starr, M. & Rinaldi, C. (2011, March). Accelerating Achievement in Boston Public Schools: Social, Emotional and Behavioral Principles of the Academic Achievement Framework Aligning Efforts to Ensure Proficiency for All Learners: 3rd Annual Bridging the Gap Conference, Boston Public Schools, Boston, MA. Rinaldi, C. & Putnam, B. (2010, June). Multi-Tier Systems of Support (MTSS): What is it? How is it done? Presentation at the Boston Public School Leadership Conference, Boston, MA. Rinaldi, C. & Putnam, B. (2010, June). Using a Coherent Multi-Tiered System of Academic and Behavioral Supports to Realize the Potential of Somerville Public Schools. School Leadership Retreat, Somerville, MA. Stuart, S.L. & Rinaldi, C. (2010, April). Response to Intervention and Whole Schooling. Invited Workshop for the International Council for Exceptional Children (CEC) Annual Conference, Nashville, TN. Rinaldi, C., Higgins, O. A., & Estabrook, S. (2010, March). Implementing a Response to Intervention Model with ELLs: An Urban Case Study. Teachers of English as a Second Language Conference (TESul’s) 2010 Dream Day for K-12 Educators: Hot Topics Strand, Boston, MA. Watson, S. & Rinaldi, C. (2009, Oct.). Confronting and resolving challenges of teaching ELL students with LD. Paper presentation at the 31st International Conference of the Council for Learning Disabilities, Dallas, TX. Rinaldi, C. & Greenfield, R. (2009, Oct.). Teachers’ perceptions of RTI reform in an urban elementary schoul. Roundtable presentation at the 31st International Conference of the Council for Learning Disabilities, Dallas, TX. Rinaldi, C. & Pizzo, L. (2009, February). RTI and school reform: Impacting ELL special education referrals. Paper presented at the National Association of School Psychology (NASP) 2009 Annual Conference, Boston, MA. Rogers-Adkinson, D., Rinaldi, C., Stuart, S.L. (2008, November). The impact of a response to intervention model (RTI) on LD/EBD students. Invited presentation at the 32nd Annual Teacher Educators for Children with Behavior Disorders (TECBD) Conference On Severe Behavior Disorders of Children and Youth, Tempe, AZ. Rinaldi, C., Greenfield, R., & Mc Eachern,K. (2008, April). The Special Education Process for Minority Students in Sheltered and Bilingual Programs. Paper presented at the Council for Exceptional Children Convention and Expo 2008, Boston, MA. For a complete listing of publications and presentations please email me.